This has been an extremely busy but exciting week. It seems like the whole world is full of energy. Here are a few things you might want to be aware of. If you are interested in forecasting, make sure to register for the upcoming CFO.com webinar ‘Forecasting in turbulent times‘. Together with Tom Willman (Principle, The Hackett Group), I will discuss trends and best practices for improving your forecasting processes. The webinar is scheduled for Thursday, March 15th. Yesterday was the official launch event for Cognos Insight and TM1 10.1. I was blown away by how many people participated. As a track host, I was especially excited to see so many questions coming through. In case you missed it, you can still watch most of the sessions on demand. I highly recommend the keynote. Robby Meyers from DirecTV gave a fantastic demo of Cognos Insight. Make sure to watch that one. It’s great to see how a successful company like DirecTV leverages Cognos Insight. There is a great new website and community entirely dedicated to Cognos Insight. Make sure to check it out. The new site provides you with a bunch of great stuff: sample Insight models, tutorials, discussion forums etc.. You can also download a revised version of the famous IBM Cognos Blueprints. Yes, they have been redesigned to work in Cognos Insight. Make sure to also upload your files and share your experiences! There is an updated version of the Cognos iPad app. You can downloaded it directly from the iTunes store. The latest version has a slightly different look and feel. It also feels snappier. There are also a bunch of other enhancements under the hood. And there is also additional demo content in there. The upgrade takes about a minute. And….can you imagine how awesome all your Cognos report will look on the new resolutionary iPad? Want to see me as a bobble head? 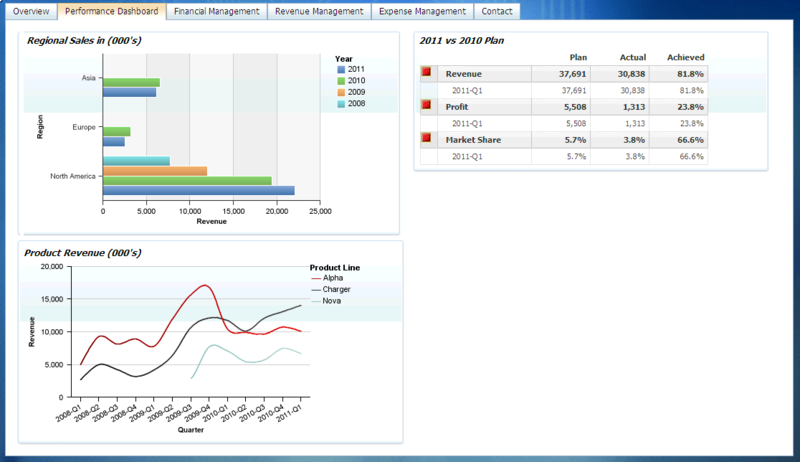 Some of you may have watched the Cognos Insight demo at the IBM BA Forum in October 2011. My colleague Harriet Fryman and I demonstrated how the business and IT can get along using Cognos Insight. Our creative team took that story and has created a series of hilarious bobble head movies. The latest edition was released last night. In the prior video, Harriet put Sleep-eeze into my coffee. Time to get even! The other parts are also available on You Tube. There is a lot of exciting stuff happening in the Business Analytics area. Last week, I wrote about the release of the personal analytics tool Cognos Insight. But there is more. Along with Cognos Insight, IBM also released the latest version of TM1. And let me tell you, IBM Cognos TM1 10.1 is a significant release. There is a lot of new and really exciting stuff in there. Here is a really short preview. If you want to see more, make sure to register for the official virtual launch on Wednesday, March 7th. One of the most significant enhancements to TM1 10.1 is the addition of Performance Modeler. This is the environment where you can build and maintain the different models for planning, forecasting, profitability analysis and such. Performance Modeler provides new and highly visual tools for getting the work done. There are guided processes for standard tasks such as importing data and deploying models to end users. Annual Budgeting – Our favorite season? In theory, a budget should actually be a rewarding and important process. Why? Let’s look at the purpose of a budget: It should outline how we want the future to look. It details planned actions, outlines investment areas etc.. When you think about it, these are very important tasks. And it should not be that nerve racking. Budgeting and planning allow us to sit back, look at our past achievements and provide us with the opportunity to lay out a path towards future success. Doesn’t sound too bad, right? Indeed, the annual budgeting process is anything but popular. No wonder. It is usually very difficult and the resulting value is dubious. So, what’s wrong? Many things. Here are a few statistics that I pulled together from various articles, books and conferences. Depending on the specific sources, number tend to vary a bit here and there. But the general trend is the same. Over 70% of all budgets loose their validity after the first quarter of the new fiscal year. The speed and volatility of our global connected world renders many assumptions useless. And estimated 94% of all executives do not have confidence in the budget numbers. They believe the numbers are either outdated, they are padded or they are meaningless. Huh? 75% of all companies need more than three months to complete the entire cycle. Even three months is a long time these days. Responding to changing market conditions becomes very difficult with these long cycle times. Also, think about the enormous amount of resources that are invested into the process. Do we really want to spend all that time only to find that the output doesn’t actually reflect reality? Over 75% of all budgets are believed to be sandbagged. Gaming the numbers remains a popular competition: cost center managers exaggerate expenses to protect their turf. Sales managers express negative market views to maximize their earning potential. Not good. It’s time for a change! In the next few weeks I will share a few ideas for making the budgeting process more valuable. On Thursday, business advisor Mike Duncan will discuss the overall purpose of the budget. He recently wrote a nice article called Six Ideas for Setting Successful Budgets. If you have stories and best practices to share, please get in touch with me. Author Christoph PapenfussPosted on November 29, 2011 December 6, 2011 Categories Plan & ForecastTags annual budget, budgeting, Business Forecasting, Cognos TM1, forecasting software, rolling forecast budget5 Comments on Annual Budgeting – Our favorite season? 1. 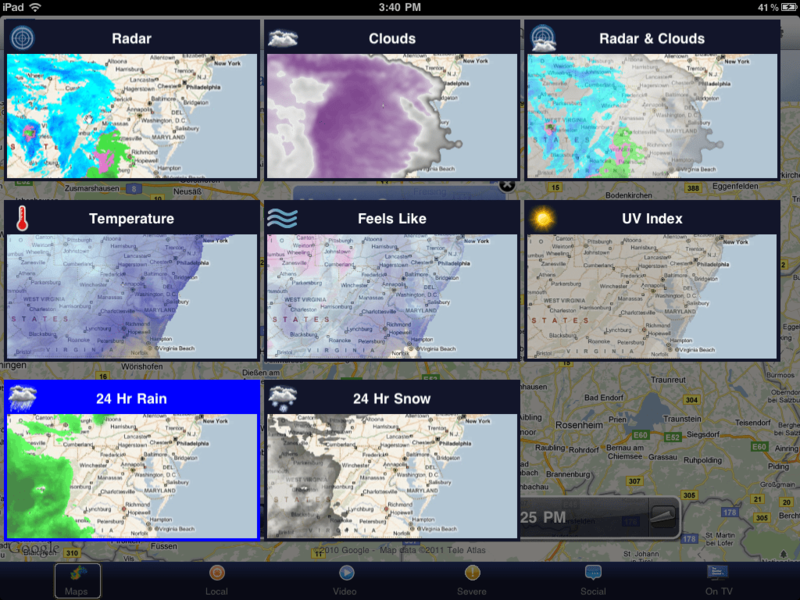 Forecasts should be objective: Have you ever seen a subjective weather forecast? Well, it may feel like that sometimes. But weather forecasters do not publish what they think the public or the managers of the TV stations or newspapers want to hear. That would be dangerous. No, they strictly publish what their algorithms and forecasting processes show them. We can therefore rely on them (except for the obvious and inherent forecast errors that can occur). 2. Forecast discussions should look forward not backward: Huh? 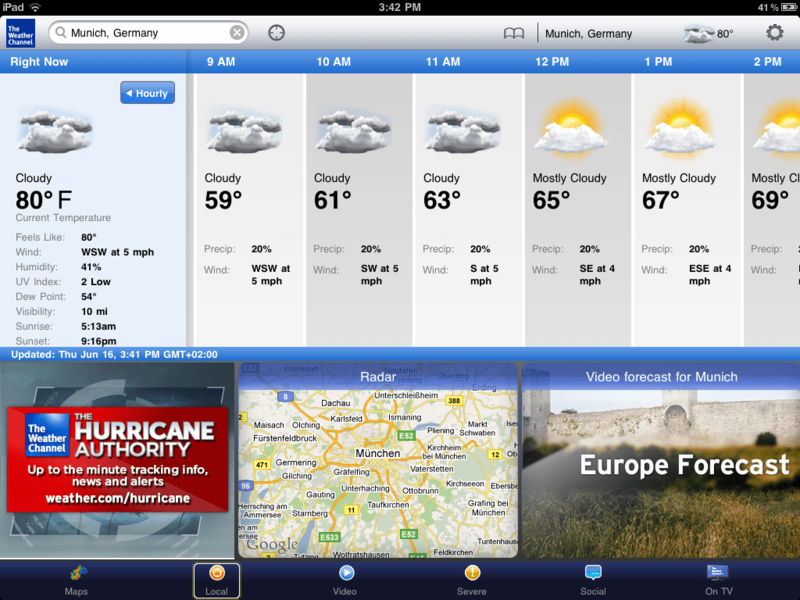 Well, weather forecasts focus on the future. Have you ever seen a weather person spend 75% of his time explaining past variances, apologizing and arguing about assumptions? No. Weather forecasts are strictly forward looking. The focus is on what lies ahead and not on what happened in the past. 3. Forecasts should be flexible: How often do we we get an updated weather forecast? Once per quarter? Once per month? No, the weather is too volatile for that. The forecast would be outdated within a few hours. People might be unprepared for a snowstorm, for example. Instead, weather forcasters continuously update their models when new information arrives. That way we can all rely on the most current and accurate forecast. We don’t have to worry too much about being caught in dangerous weather. 4. Forecasts should speak a clear language: Weather forecasts are being presented in a simple and concise manner: “Heavy winter storms expected with up to 20cm of fresh snow.” This type of presentation allows us to quickly make decisions (stay at home). The message is not hidden in hundreds of lines of technical details. Today's forecast is detailed. The further out we look the less detail we have. 5. Detail is adjusted based on the predictive ability: What is easier to forecast – the weather tomorrow or the weather in two weeks? Stupid question: the weather tomorrow. Weather forecasts acknowledge that they cannot predict weather much further out than a few days. And they adjust the level of detail based on that insight. Today’s forecast shows detail by the hour. The forecast for next week is just a general trend (‘rising temperatures expected’). This approach obviously reduces the effort involved in creating the forecast. Most importantly, this approach avoids the trap of setting wrong expectations (“I thought it would be sunny in three weeks from now!”) More detail does not mean higher accuracy. What type of instruments and tools do weather forecasters leverage? Weather frogs, old fashioned thermometers, wet fingers, flight patterns of birds? No, they rely on modern technology. They continuously push the envelope and upgrade their equipment. This tremendously speeds up their work while also reducing mistakes and increasing the accuracy. They actively look for new ways to improve their processes and techniques. Think about your forecasts. How do they stack up when compared to these six characteristics? Are there areas where your forecasts can improve? If you are interested, join of of our Rolling Forecast workshops to learn more. Forecasting is a critical topic for many companies these days. No big surprise: the volatility and the speed in the world requires organizations to stay agile. 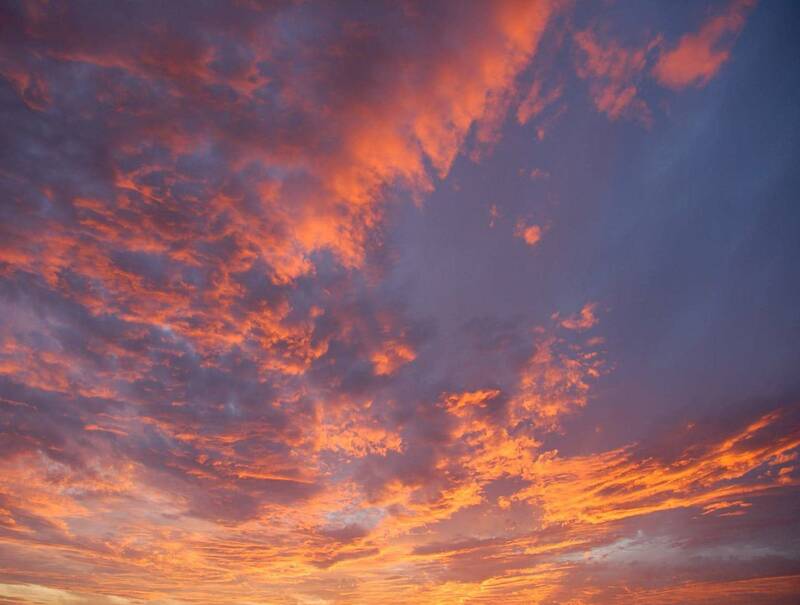 About four years ago, my team and I started working with several customers and thought-leaders (David Axson, Steve Morlidge) to collect best practices for forecasting in these turbulent times. The results of the countless hours of talking, brainstorming, analyzing and reading are captured in the IBM Cognos ‘Best Practices in Rolling Forecasts’ workshop. This workshop ended up being way more successful than any one of us would have ever imagined. I have personally delivered over 100 of these events in the past three years. David Axson is showing the way! to fill the agenda for a half-day workshop. That creates more focus and the attendees leave with just enough ideas to drive change in their organizations and without feeling overwhelmed. The overall focus is on the business process and not software. While we share a lot of best practices, the workshops are very interactive. We usually have extended and very fruitful discussions amongst the participants. Many attendees stay after the official event ends to continue their idea exchange. This is one of my favorite parts. There are always many things to learn. 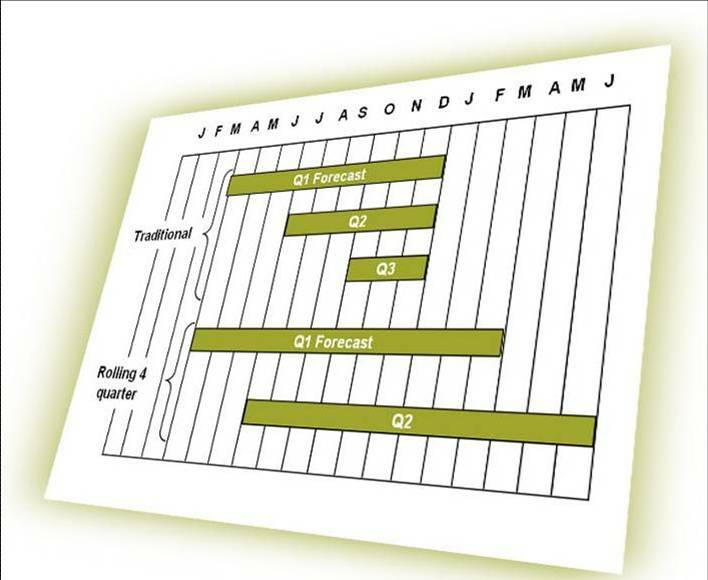 Is a rolling forecast right for your organization? What’s the right time horizon? 90-day? Four quarter? Six quarter? Three year? How often should you update the forecast? How do you use a rolling forecast as an early alert of threats and opportunities? What is the role of scenarios? What role can driver-based modeling and tools play in the forecast process? How do you sell the need for a rolling forecast? What does the business case look like? How can you measure the efficiency and effectiveness of your process? If you are considering to make changes to your forecasting processes or if you are working in the IT department supporting Finance, you should join one of these workshops. It is a great opportunity to meet other finance & IT professionals and to get solid ideas. Believe it or not, but we have had several customers attend multiple events. They simply liked the interaction with the other professionals so much and they felt that they got a lot of value out of each workshop. Check out my events page to find out about upcoming dates or simply drop me a note. Hope to see you soon! Greetings from Vienna: home of the schnitzel, yummy dumplings and lot’s of amazing history. But Vienna is also the hub of many successful companies. 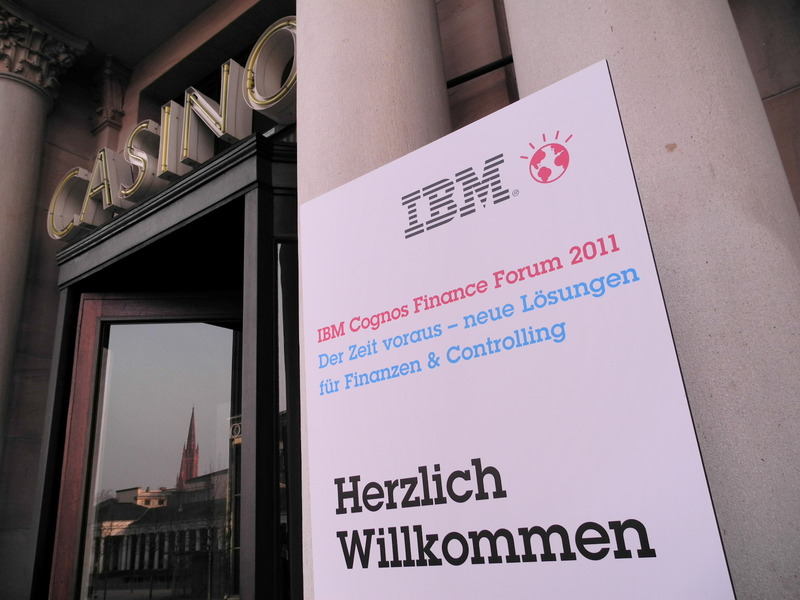 Today is the third European IBM Finance Forum 2011. We have had a great day so far. 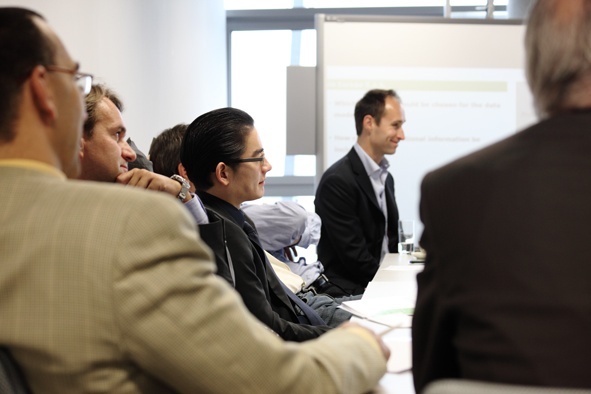 Lot’s of attendees from the Finance & IT departments of different Austrian businesses and government agencies. The agenda here is once again packed with Finance content. And as in all the other locations, we also have some great speakers. 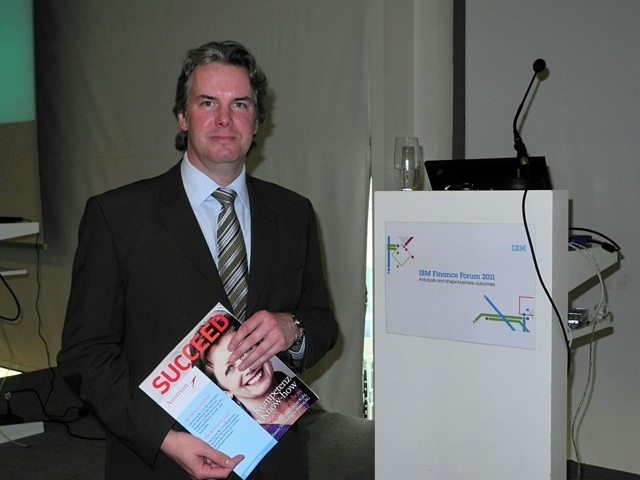 The event in Vienna is hosted by Harald Hornacek, chief editor of the popular business magazine Succeed. The magazine is distributed by Austrian Airlines and flyers love it for its fresh and meaningful content. 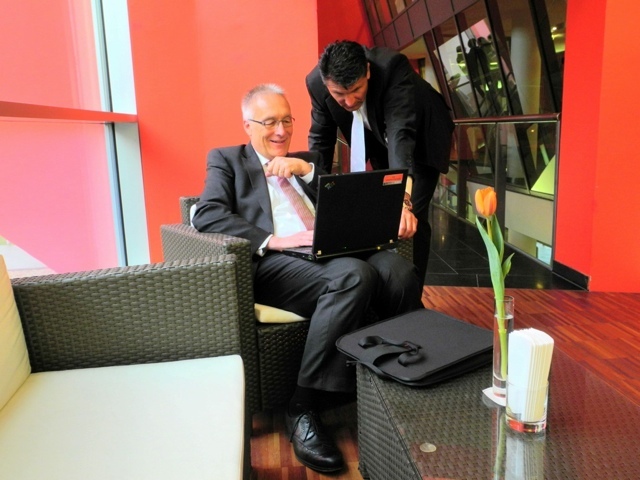 Harald is quite famous in the Austrian and European business community for exactly that reason. The attendees have a great time listening to his insightful comments and questions. But let me back up for a quick second. 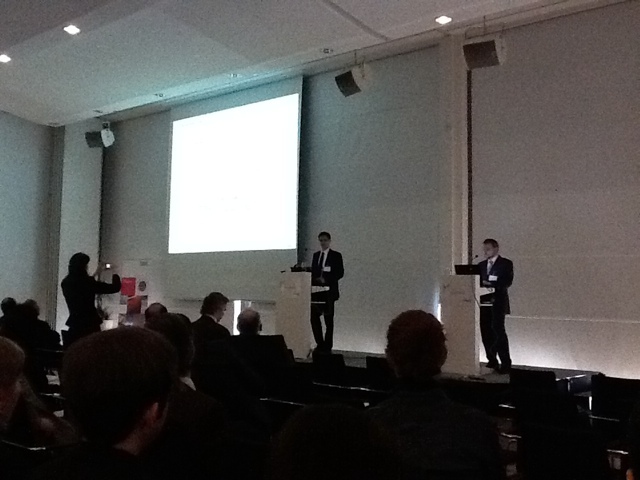 There was another Finance Forum in Zurich last week. 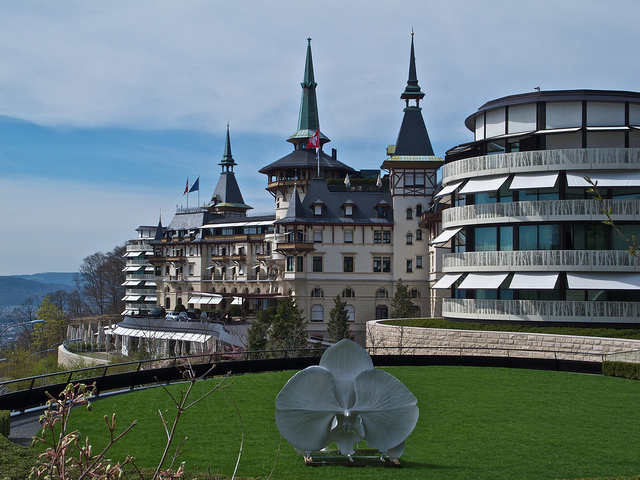 The Finance Forum Switzerland was held at the famous and gorgeous Dolder Grand hotel. It is situated high above the city with breathtaking views left and right. Steve Morlidge, the author of ‘Future Ready‘ delivered a refreshing keynote about best practices in forecasting. He will be speaking at many different Finance Forums across Europe this year. We also had a customer speaker from a 500 year-old company (can you believe that? ): Mr.Binzegger from Orell-Fuesseli talked about their innovative use of SPSS software to develop highly accurate credit ratings for companies. We also heard Mr Wirth from Nycomed talk about how to build an effective reporting and information strategy in a global environment. The Dolder Hotel staff also served up some amazing food and coffees during the break. Great event. Back to the event here in Vienna. It’s been a bit of a mad rush for me in the background. I left home on Sunday morning to run two Rolling Forecast workshops with close to 40 CFOs from different companies in the Middle East on Monday and Tuesday. 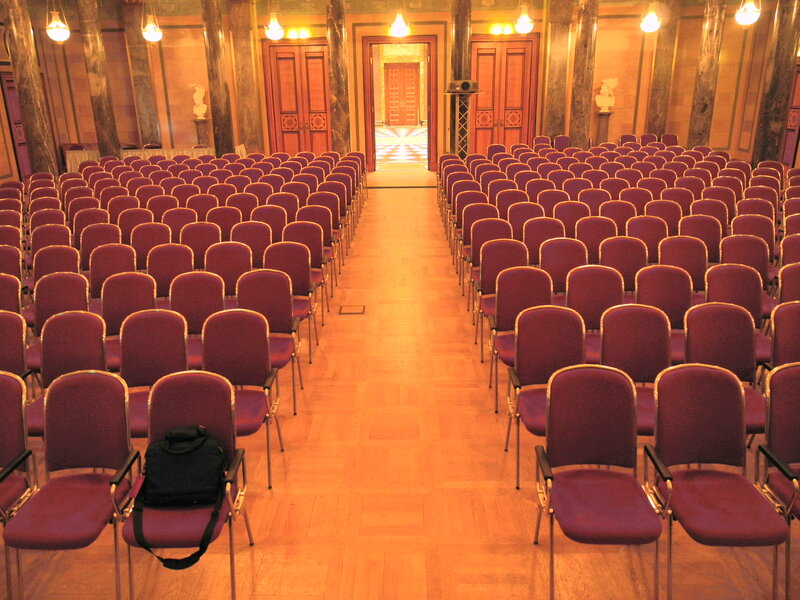 Wednesday morning we found out that one of our customer speakers in Vienna ended up calling in sick and I jumped in with a different presentation last minute. We are about to start a panel discussion between different customers and experts. Hopefully you will get the opportunity to join one of the IBM Finance Forum events in the next few months. 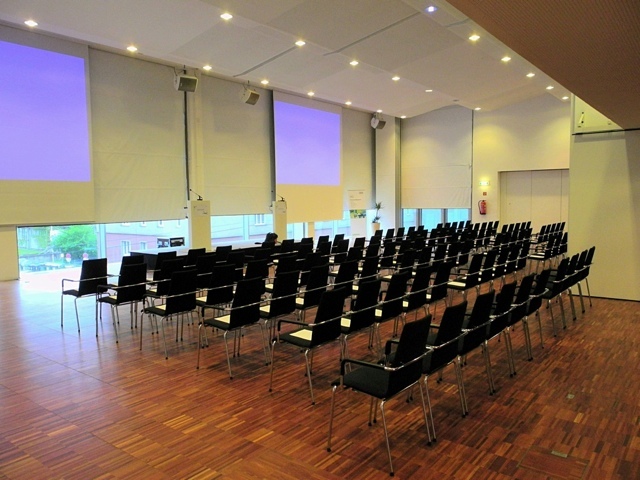 As you can see, we always have great speakers, great content and also lot’s of valuable discussions. Knowledge exchange and networking is a critical part of this. My next event is scheduled for May 4th in Bucharest. To see more photos from all the different events click HERE. See you soon! Author Christoph PapenfussPosted on April 14, 2011 December 22, 2011 Categories Events, FinanceTags budgeting, business analytics, Business Intelligence, Cognos TM1, financial performance management, IBM Cognos, IBM Finance Forum, rolling forecast budgetLeave a comment on Vienna calling! Forecasting continues to be a hot topic. My recent interviews with Steve Morlidge continues to be very popular. Also, ‘Franz the Frog’ sparked some interesting discussions behind the scenes. Given the strong interest in these topics, I reached out to a friend who has spent a lot of time and effort driving solid forecasting processes. Please meet Ulrich Pilsl. He provides a different perspective. Ulrich currently works as an Interim Manager in Munich. He spent over 14 years at Softlab / BMW Group (later Cirquent / NTT Data Group). 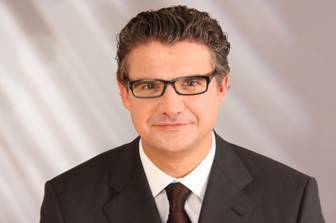 As a member of the executive board, he held different senior executive positions including CFO of a consulting subsidiary and as the Head of Controlling & Business Administration. Christoph Papenfuss: Forecasting is a key focus area for many finance professionals. But many organizations are struggling to obtain an objective view of the future. What are some of the key problems? Ulrich Pilsl: The biggest problem I see is complexity. 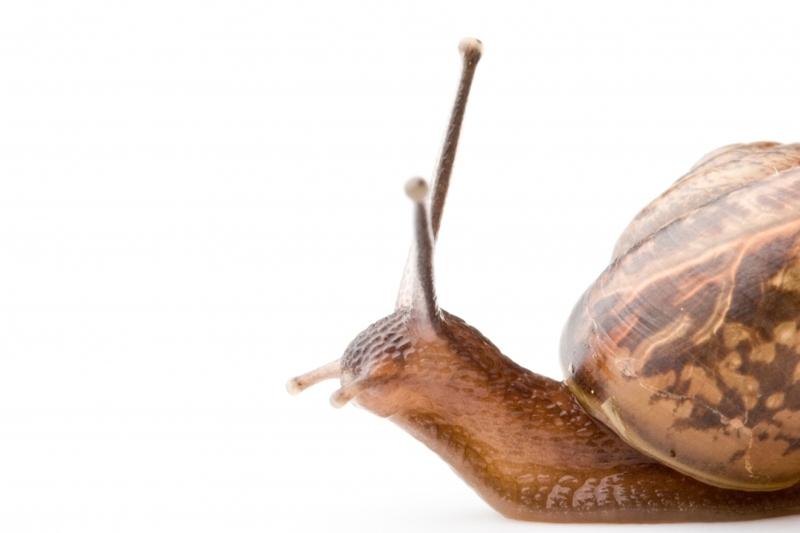 Many companies have bloated processes that are too detailed. It simply takes too much time and people have a hard time differentiating between what is important and what is not. There is no clear focus. Also, management tends to have a hard time managing the process. My advice is to simplify and to get rid of excessive detail. More detail does not create more accurate forecasts. On the contrary: the more detail, the less accurate forecasts tend to be for the above mentioned reasons. Christoph Papenfuss: What is the main problem with inaccurate forecasts? Ulrich Pilsl: Inaccurate forecasts lead to a serious confidence problem. Shareholders don’t like surprises. It gets worse when surprises are caused by poor forecasting efforts. Christoph Papenfuss: Are positive and negative errors equally problematic? Let’s take a look at a typical sales or business forecast. Some people tend to create very conservative forecasts and often end up outperforming. Isn’t this better than creating a very ambitious forecast and then coming in lower? Ulrich Pilsl: This is an interesting but common situation. First of all, positive and negative errors are equally problematic. Both type of errors can create serious management challenges apart from the already discussed confidence problems. In regards to this specific situation, one might be tempted to say that it is a good thing for a sales person to continuously beat his or her forecast. However, this can create some serious challenges. Let’s take a look at a consulting company. Low sales forecasts indicated low resource requirements. Hiring efforts might be slowed down and the business might quickly end up in a situation where they do not have enough talent available. Business is lost. Customers might loose confidence in us as a trust-worthy business partner. I therefore strongly believe that both negative and positive errors require serious attention. Christoph Papenfuss: What should the Controller do to help minimize forecast errors? Ulrich Pilsl: The Controlling department should show some ‘tough love’. They have to challenge the departments to deliver realistic forecasts. We found that it is critical to provide suggestions and to jointly develop scenarios with the business managers. Finance basically acts as a tough but fair coach in the process. This continues in the the monthly and weekly management meetings: We openly discussed the forecast results and challenged the numbers. It is obviously the job of the Business Controller to moderate this process. Last but not least, we found that it sometimes makes sense to create top-down adjustments that reflect upside and downside risk. Christoph Papenfuss: Based on your experience, does it make sense to measure forecast accuracy? If yes, how often and at what level did you measure accuracy? Ulrich Pilsl: It depends on the organization. This reminds me of a quote by my former manager who said: “Most companies are over-controlled but under-managed.” A team that understands the value of a forecast will usually deliver solid forecasts. Measuring forecast accuracy won’t necessarily improve it. I do believe, though, that it makes sense to measure it if the organization has challenges with the forecast process. Especially in the case of a management team that does not see the value in the forecast. It might make sense to add an accuracy target to the annual objectives. We had a variable goal “internal quality”. This allowed us to substantially change the mindset of some managers. The goal was set once per year. Christoph Papenfuss: How do you utilize forecast accuracy measures? Should you communicate the numbers to the organization or is this something that should stay within the walls of the finance department? Ulrich Pilsl: In my opinion, it does make sense to communicate forecast accuracy to the management team. But it makes no sense to communicate it to the whole organization. The aim is to improve forecast quality and not to blame the management in the organization. Christoph Papenfuss: What can Finance do to help create a culture where people are happy to create meaningful and objective forecasts? Ulrich Pilsl: Finance simply has to be the role of a coach and consultant for the business. It is our role to educate and to support the business. Just a quick hello from the road. It’s one of those very exciting yet extremely busy weeks. The IBM Finance Forum events finally kicked off in Europe. The first event was held on Wednesday in the beautiful town of Wiesbaden in Germany. Wiesbaden is known for three things: It is the capital of Hessen, there are some natural springs that have healing effects and there is one of the few well known casinos in Germany. 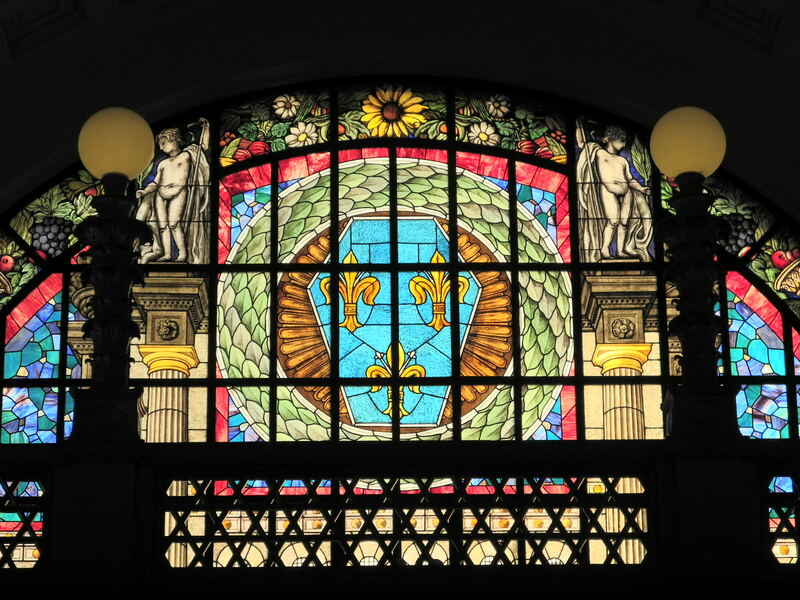 It is the beautiful casino building in the heart of Wiesbaden where the first Finance Forum for the season kicked off. We had a great crowd of well over 250 finance & IT professionals. I had the honor to deliver the IBM keynote. Delivering the keynote at these events is always exciting. But it is especially exciting this year: there are so many great and game-changing things to show. Apart from many interesting customer & IBM speakers, we also have a few really interesting external keynote speakers. In the US, David Axson will be delighting the audiences. He is a true performance management visionary and inspirational speaker. Make sure to check out his latest book called ‘The Management Myth Buster’. In Europe, Steve Morlidge (author of the book ‘Future Ready’) will be sharing interesting insights about how to improve your forecasting processes. And there are some other speakers as well. Stay tuned for updates. Check out this link to find out about all the dates. Below are some impressions from the day. I really hope to see many of you at our upcoming events. My personal schedule is update on this website. How cool is that? Multi-touch planning powered by TM1. The Kurhaus in Wiesbaden...how nice is that? Have you ever wondered what it was like to run a large company? Have you ever wanted to make big risky business decisions with worrying too much about the results? Well, I have some good news for you! Purchasing and implementing enterprise software like IBM Cognos can be a complex undertaking. It starts with finding the right vendor, understanding how the software can help fix business issues and it continues with obtaining buy-in from the business. Especially the last issue is not trivial. I have personally spent countless of days and nights working with different client sponsors on crafting careful messages about how the new processes and the software will help the business. My personal lesson learned is: selling change is not easy. But there is a recipe that works in many cases: Rather than show and tell, let the business experience the difference. This is something we can learn from a car salesman: A car salesman does not spend time talking about the benefits and cool features of a car. No, he offers a test drive. During this test drive, I am able to experience the benefits hands-on myself. I am able to visualize how the new car can help me. If I like the car, I like it. And I know when it feels right. The workshop is typically run with groups of 8-16 people. We split the participants into competing teams. The objective for each team is to run the fictitious company ‘Futurechips’. Together with the group facilitator, we start by analyzing the situation of the company. 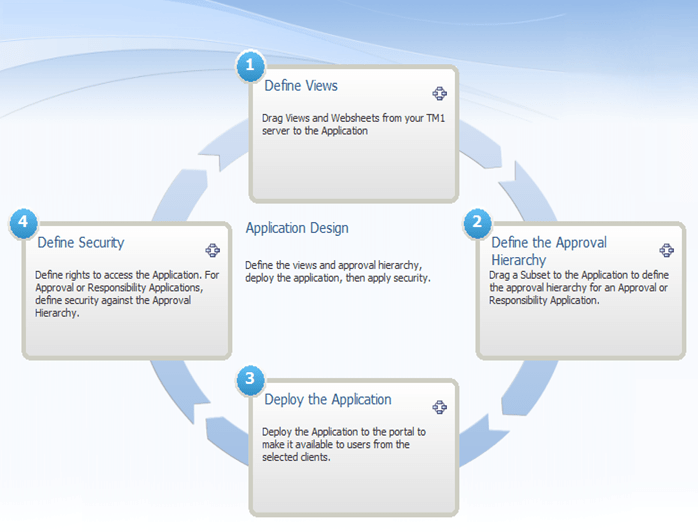 The Cognos 10 platform provides vital information such as a financial review, overview of products, markets, etc.. This helps answer some critical questions such as: Why was the prior management team let go? What is the financial situation? What are the opportunities for the new year? There is a lot to discover. Futurechips seems to have a bright future but the prior management team made some strange and short-sighted decisions. And it is fun to make these discoveries. The teams therefore get fully emerged into the game after a few minutes. After a short while solutions and ideas spring up. The teams start discussing. And it doesn’t end here: We actually get to make some critical business decisions. What markets do we want to focus on? Which products do we want to invest in? How should we adjust our pricing models? What is our overall strategy for the fiscal year? We do this by developing short strategic plans in IBM Cognos 10. The data that we enter is then fed into a sophisticated simulation engine that provides detailed feedback. At this point, it is not untypical to see some serious competitive behavior (all in good fun!) between the groups as we compare the results from the first few quarters. We find out that we did some things right. We also find that the teams missed a few points. Plans and strategies are refined. And so it continues. There are more decisions to be made and the simulation continues to provide feedback. Ok. That sounds good? But what does that have to do with Business Analytics and what does that have to do with selecting software and implementing it? Very easy. The workshop allows the participants to experience how Business Analytics software can help them make better business decisions. Just to be sure: we do not talk about the software itself during the workshop but we use Cognos 10 to perform our analysis, to prepare our decisions and to help develop the detailed plans. 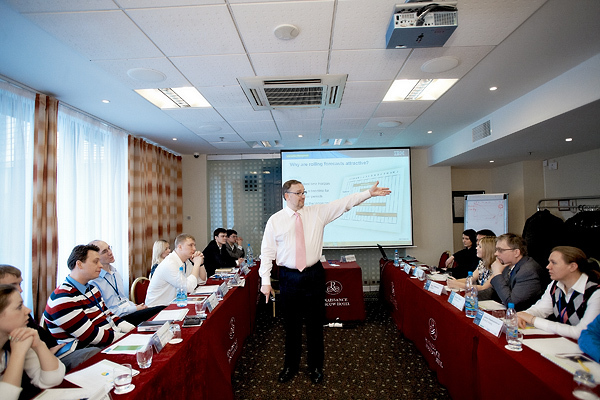 The participants use the Business Analytics tools to gain insights and to prepare their decisions. Who should attend the seminar? Anybody who wants to learn more about business analytics (sponsors, project managers, CIOs, CFOs, business managers) and all those of you who are already implementing the software and who need to sell change within their organization. The workshop is a fantastic way to let business users experience how their work can change. It is just like test driving a new car! Does that sound interesting? It really is. I LOVE running these workshops. It is a simulation and a game after all. As a matter of fact, we have many returning customers that want to participate over and over again. Check out IBM’s website for more information and a current schedule of events. Our team is also happy to run these business analytics workshops in-house. Hope to see you at one of these workshops soon! London Heathrow, Terminal 5. 6pm GMT. I am tired. Really tired. Museum visits, shopping trips and conference whirlwinds belong to a category of highly rewarding and fun activities, yet they also belong to the category of activities that can only be classified as “Holy smokes, why am I so exhausted?” type of things. 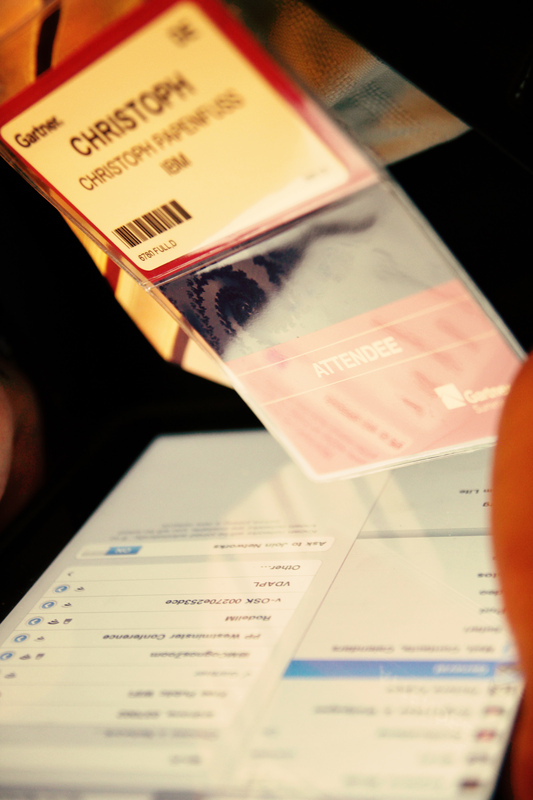 Gartner does a fine job of producing highly relevant and engaging events. The 2011 EMEA Summit was no different. Over 700 people attended the well organized event at the Westminster Plaza hotel in London. 62% of all EMEA organizations have a BI strategy. That is a positive change from the prior years. BUT…only 1/3 of all organizations have a real BICC. But Gartner highlighted that a BICC is somewhat of a ‘secret sauce’ for success in BI. Success means going for BIG BI: not just platform but rather a complete view of people, process & technology. A big majority of the participants believe mobile BI will play a huge role in the future. Not a big surprise. Many people believe that a large portion of BI spending will go SIs instead of software vendors. On the second day of the conference, Leah Macmillian and I delivered the IBM keynote. It was great to see so many people in the room. We spent almost 50% of our allocated time on showing Cognos 10. Many people in the audience seemed surprised as we were the only vendor to show product. A bit of a surprise to me. Why would you spend so much time talking about future direction instead of showing what you can do now? Everybody has great ideas but at the end of the day we need to deliver value now. Right? No surprise: We did get a ton of questions following our presentation. Kudos to Gartner. It was a great event. Excellent content and excellent participants. I really enjoyed the networking with so many great people. It was cool to see that our IBM portfolio pretty much covers all the main trends that were discussed at the Summit: Mobile, Collaboration, In-Memory, Predictive Analytics etc.. Cognos 10 is a great platform. Gartner’s assessment of IBM’s position in the market clearly highlighted this.